The firms listed on this page support The Gesneriad Society by advertising in our journal Gesneriads. The information is taken from their ads. 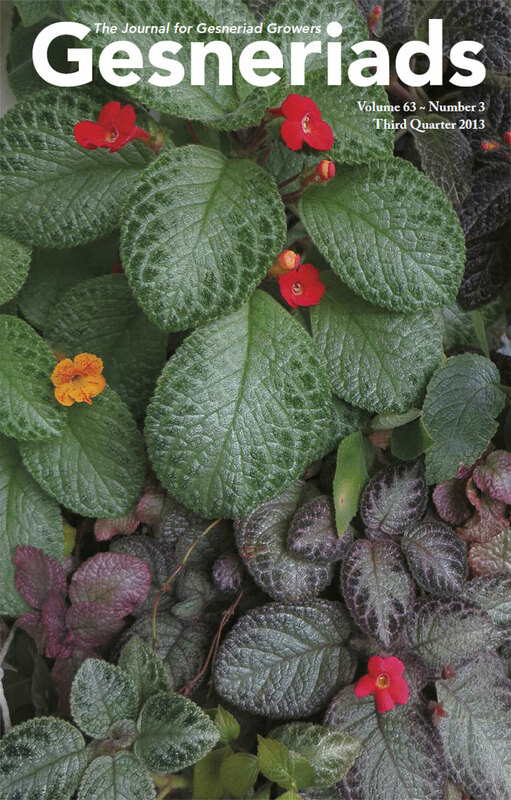 Among them, they offer a wide variety of gesneriads, related plants, supplies and reference materials. Please support our advertisers and be sure to mention you found out about the supplier on this website! Note: These links take you outside The Gesneriad Society Web site and are provided as a service to our visitors. Chinese & English, 777 pages, text & color photos of gesneriads. Streptocarpus, primulinas and other Gesneriads. Email for list of available plants. The price of Qiu’s book is $50 which includes free shipping within the continental US. For foreign shipments please contact Stephen by email for shipping cost. • Unique soiless blend of coir, sphagnum, hydrocks and vermiculite. Rated #1 in tests. • Wick Mix” also available. Oyama Pots, Wick Saucers, AgroSun Light Bulbs, Self-watering Pots, Urea-free Fertilizer, Leaf Rings also available. Contact us for free catalog. Attention Commercial Growers and Suppliers! Advertising in Gesneriads is an excellent way to reach potential customers. All advertisers receive free listings on this website.